The wooden Church of the Dormition of the Most Holy Theotokos of the 18th century burned down in Kodopoga (Karelia) this morning. According to Interfax, the information about the fire in the Dormition Church was received at 09:33. By 11:00 it became known that the wooden church burned down completely. According to one of the versions of the incident, the cause of the fire was the careless handling of fire. “At the time of arrival of firefighters, the fire area was 60 square meters. Now the church has completely burned down”, the interlocutor of agency noted. The causes of the fire are being clarified. The Dormition Church was a monument of the wooden architecture built in 1774. 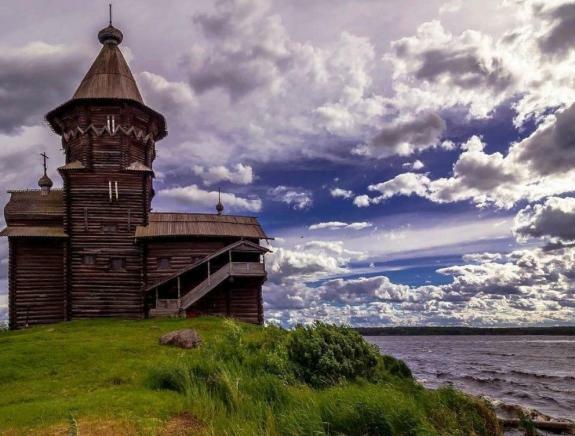 The church was located on the shore of the Kondopoga bay of Onega Lake. Its height was 42 meters. According to Interfax, currently the administration of Karelia are discussing the possibility of the restoration of the Dormition Church.